DAVID-Laserscanner Forum • View topic - My first succesful scan! I used white line projection with a Benq W1000 1080p projector and a Canon DSLR T2i using 1080 video in 30 fps. I projected a line I created in after effect. 1080 frame of a 1 pixel line going down a 1920x1080 black frame. So my line should go down one pixel every frame. 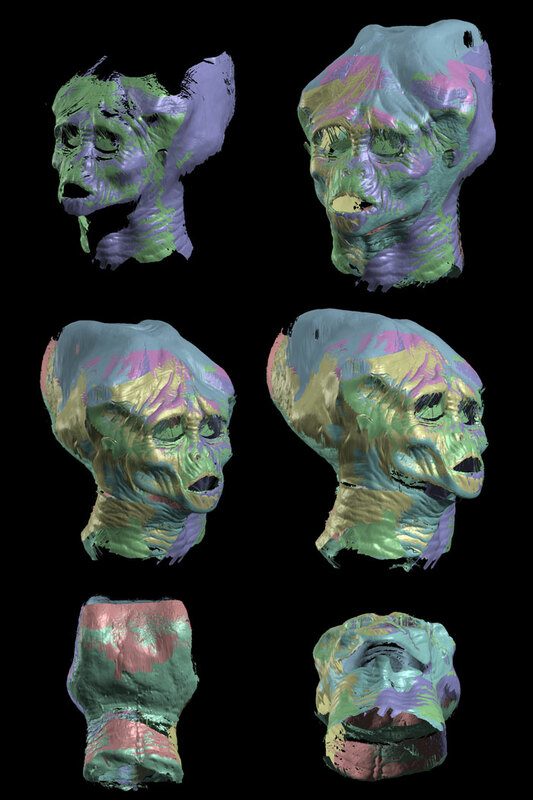 I scan this extra terrestrial I sculted a while ago and molded in foam latex. 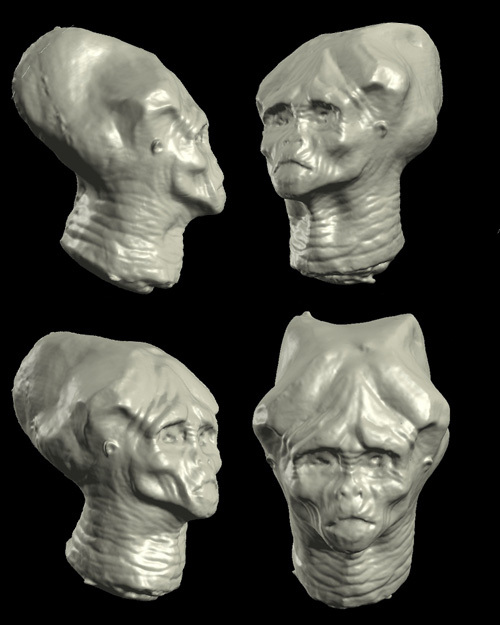 the result is far from perfect, it's my first try and I just used 3 scans (front-right left). The projector was horizontal and the camera filmed from higher. I will try coming closer to the subject with the projector to get more resolution. Re: My first succesful scan! Well the one pictured in my first post above was not so bad, that was the result of the white line projection. The really bad one was the one with the patterns (I did not kept a picture of that one). With the white line it's way better for now I think. I did another test just by getting my projector closer to the subject to get a bit more resolution. I'm pretty happy now with the details I could get! Sadly I could not fuse it cause I increased the fuse resolution from 500 to 1000 and David crashed instantly! I did not save before... Anyway I have the trial version and don't even know if I could have saved anyway... My next try will be to scan a human being (I'm presently looking for guinea pigs amongs my friends). how long was the white line scan?